The eSamba project have acquired a Tesla battery pack to reverse engineer &/or use in the VW Samba Bus EV conversion. Jehu Garcia's eSamba project is part of a 30-odd episode YouTube series where Jehu has recently experimented with building his own 18650 Lithium Ion battery packs. In this weeks episode the guys tear down a battery pack manufactured by Tesla Motors. It's not made clear in the video which vehicle the Tesla battery pack was removed from other than to say the car in question had done approx 5,000 miles. 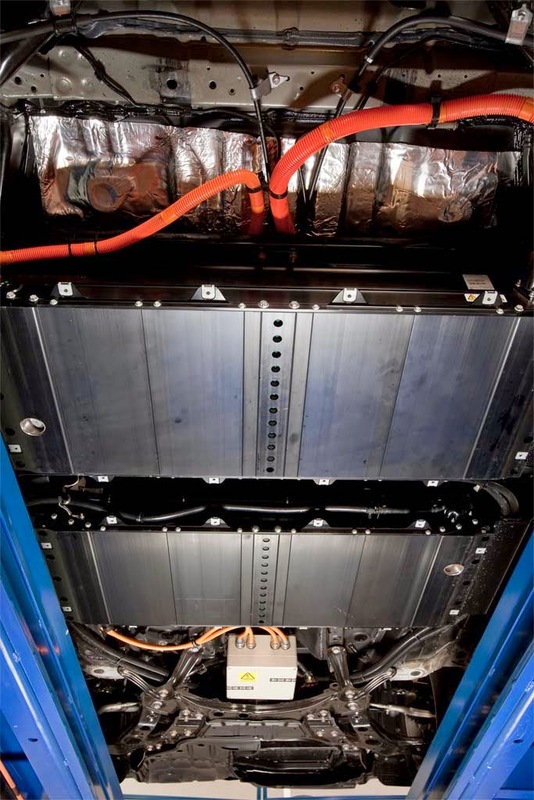 I believe it is most likely from a RAV4 EV as although the 6 module battery pack shown has a capacity of 18 kWh, approx half the total capacity of 41.8 kWh, under body pictures show the Tesla based RAV4 EV has two separate underfloor lithium ion traction battery packs. After a bit of disassembly the Tesla 18650 based modules should give the eSamba project a few new ideas.